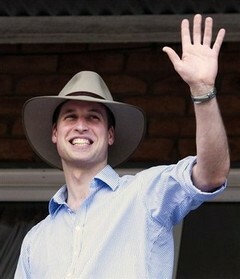 Prince William, Duke of Cambridge, who married Kate Middleton in April 2011, is the son of Prince Charles and the grandson of Queen Elizabeth II. He is second in the line of succession to the Commonwealth thrones. Since Prince William is left-handed, this is the hand I am studying more closely. His palm is wide and his fingers relatively short, which makes him very practical, down to earth and attached to family traditions. He has a lot of physical energy and mental strength, as revealed by his strong mounts of Mars, both positive and negative. His thumb is relatively long – about the size of his index finger – meaning that he controls his environment, however it is not very flexible: he may be very reliable, but not very flexible. Both his heart line (emotions) and his head line (thinking) are long and nicely curved, providing a harmonious quadrangle and good balance between feelings and reason. The quadrangle is a bit narrow in the middle, leading sometimes to anxiety. The life line starts very high in the hand, i.e. closer to the index finger than to the thumb. To Prince William, it is important to always stay in control and to be a leader – which is a good thing for a ruler. The straightness of this line tends to make life more complicated than it is. He is often looking for excitement and sometimes finds it difficult to be in the present moment. Not surprisingly, his upright line of destiny starting at the bottom of his palm indicates he was born in an environment that supported him – no kidding! – and he is very driven. Let’s complement this hand reading with a few face reading features. 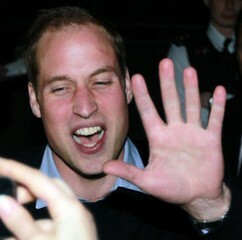 Prince William’s tall forehead shows he is a planner and a strategist, and he thinks in big terms. His low eyebrows make him spontaneous and easy to talk to. The tip of his nose, which is downturned, tends to make him very skeptical; he needs to experience before he trusts. He has “diplomatic ears”, i.e. narrower at the top. Because of his large front teeth, he may be very persistent person, and even stubborn. Finally, his mouth has two interesting features. The top lip has a Cupid’s bow shape: he can usually accomplish what he wants by expressing a desire and obtaining the necessary help, and then make it happen. The bottom lip, which is plumper, provides him with the ability to convince anyone by his words! 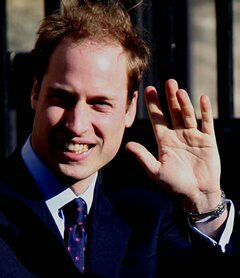 Prince William’s hands and face therefore show a man who has everything it takes to become a strong, reliable, persistent and likeable king. Can You Change your Life?